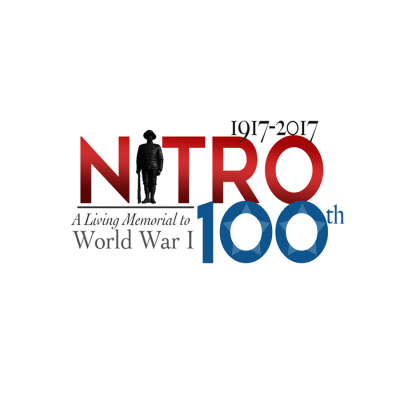 A century ago, Nitro was built as a manufacturing center for the war effort during World War I. 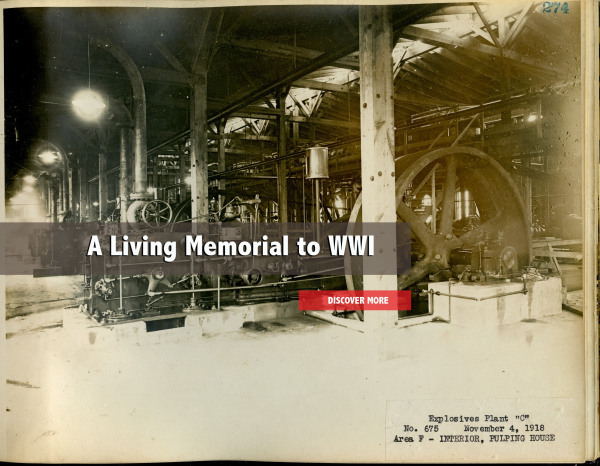 Our unique history is highlighted across town in our area attractions, including the Nitro WWI History Museum, Living Memorial Park on 21st Street, and much more. If you are a collector, then we are your perfect pitstop! Our downtown has several antique and collector boutiques located only one mile off of Interstate 64. We are nestled beside the beautiful Kanawha River, where visitors can enjoy the Robert C. Byrd Boat Access & Launch. If lady luck is on your side, then be sure to stop at the Mardi Gras Casino and Resort. From dining to entertainment, Nitro has it all. 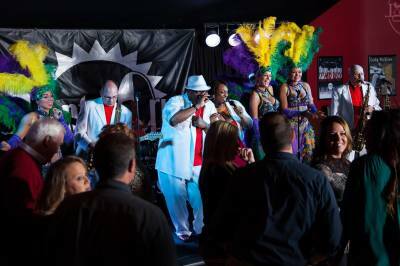 Mardi Gras Ractrack and Casino has a variety of entertainment every weekend at Louie's Lounge. Join us for the All-Horse Parade along 1st Avenue in Nitro. Located only a mile off I-64, Nitro is a historic town with several activites for the whole family to enjoy. From shopping to learning about Nitro's influence in World War I, there are a wide variety of can't miss activties in Nitro. Nitro is home to several antique and collectable stores in our downtown area. Come explore through Nitro's Antique District. The Mardi Gras Casino & Resort offers a variety of weekly entertainment performers and casino games. Nestled beside the Kanawha River, Nitro is the perfect place to cast a line. 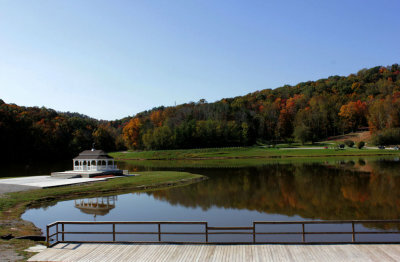 Along with the Kanawha River, Ridenour Lake is also a perfect fishing stop for the whole family. 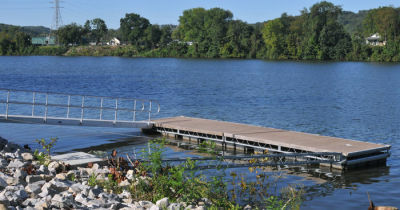 Ridenour Lake is the perfect place for a picnic. The park offers several trails for biking and hiking. 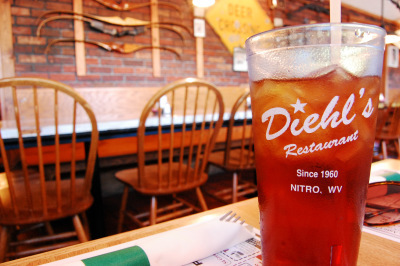 Nitro has several dining locations serving classic Appalachian-style cuisine. From fried chicken to cornbread, you can find it here. West Virginia’s only casino resort with a New Orleans flair, featuring slots, poker, greyhound racing, and off-track betting for both greyhound and horse racing, restaurants and more. 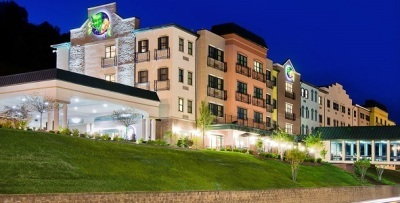 It is located just off the Cross Lanes exit of I-64. The United States faced a gunpowder shortage during World War I. In an effort to support the war, Congress passed the Deficiency Appropriations Act on October 6, 1917, for the construction of three plants capable of producing 500,000 pounds of gunpowder per day. 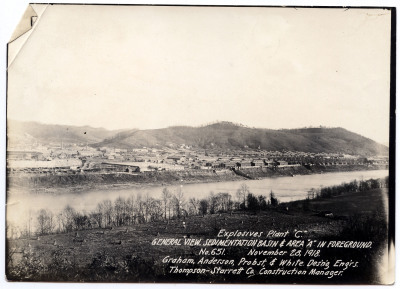 Nitro was selected as the site for Explosives Plant C and construct began on in December 1917. Named after nitro cellouse, a key element in gunpowder, Nitro was born and has been a key manufacturing center of West Virginia. In 2017, the City celebrated its Centennial Celebration. One of only two WWI Boomtowns left, the city takes great pride in its historic heritage.